EIRCOM’S TAKINGS FROM its customers continue to slide but the company is still turning a profit after slicing through its wage bill. The former state telecoms company said its revenues were down 4% for the most recent three-month period when compared to the same time in 2013, although the rate of slide had slowed compared to a year earlier. Its operating costs were down even further with the company’s payroll sliced 13% against the equivalent period last year. In an update this morning, Eircom said it had 3,458 full-time equivalent staff at the end of December – 140 fewer than three months prior and 307 below the figure for December 2013. The company’s income was €316 million for the quarter to the end of December compared to €334 million a year earlier. Eircom recently rung in the changes on its prices, announcing an increase of close to 10% on some plans for bills from mid-April. Its increased rates for business customers were slammed as “excessive” and “opportunistic” by the small- and medium-sized business lobby. 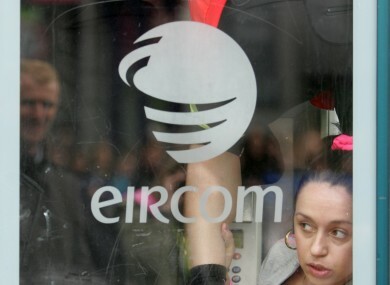 Over the past three months Eircom has lost 15,000 fixed-line phone customers, but picked up 17,000 broadband connections and 25,000 mobile-phone customers. It also gained 30,000 customers on its fibre network – the largest in Ireland – although that number remains well behind market leader UPC’s total. Meanwhile, Eircom recently announced it was hiring 300 candidates for its new apprentice programme over the next five years – the first, large-scale recruitment scheme in the company for nearly three decades. Chief executive Richard Moat said the company had been “overwhelmed” with the response to the recruitment drive and it had received 3,000 applications for the jobs. “As the leading provider of telecommunications services in the country, we believe this recruitment programme underlines our ambition for the future of the Irish economy, as well as for our company,” he said. Email “Eircom has found a way to make money - take the razor to its workforce”. Feedback on “Eircom has found a way to make money - take the razor to its workforce”.